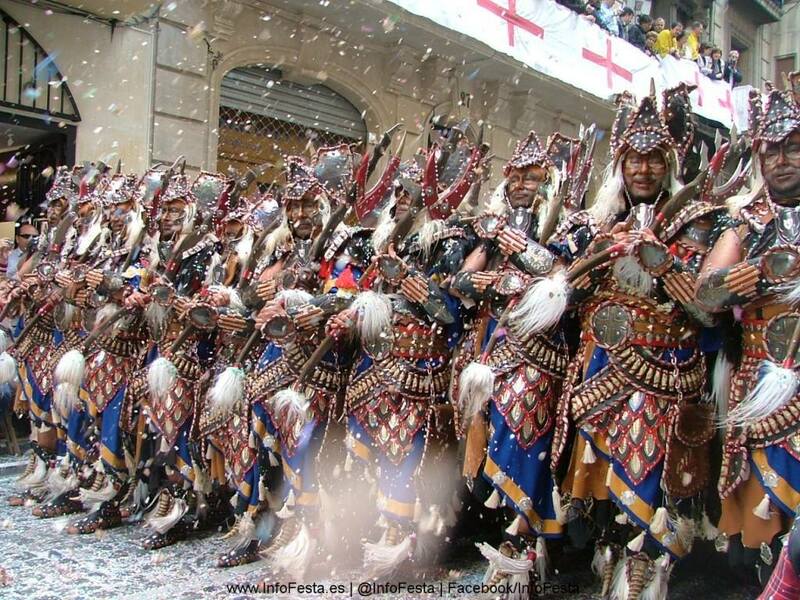 The Moors and Christians Fiesta (Moros y Cristianos) is a tradition dating back to the 16th Century, and commemorates Christians’ triumph after the great battle which took place in the 13th Century, ending the Moors’ 800 year rule of Spain. The celebration includes beautiful parades with stunning costumes, dances, marches and live bands as well as a dramatic reenactment of the great battle. 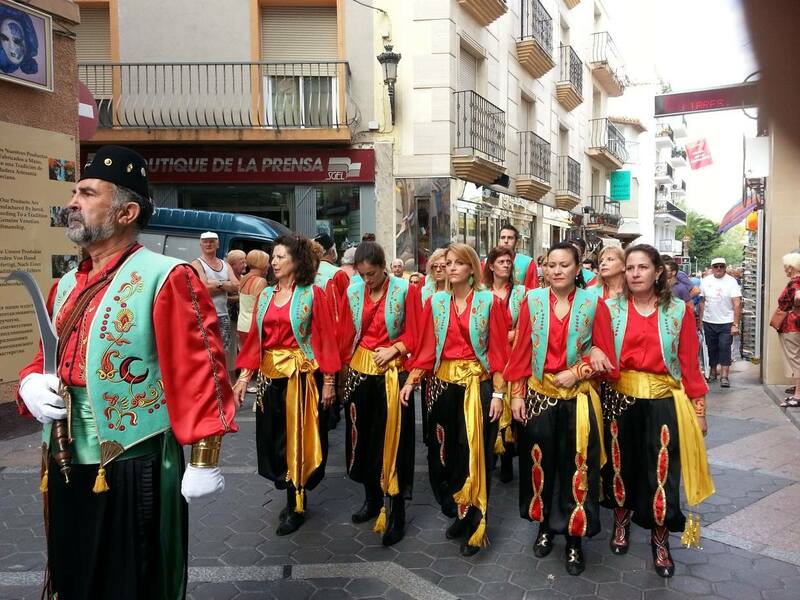 The fiestas give you an opportunity to learn about an important part of Spain’s history, whilst enjoying the striking, artistic parades and music. 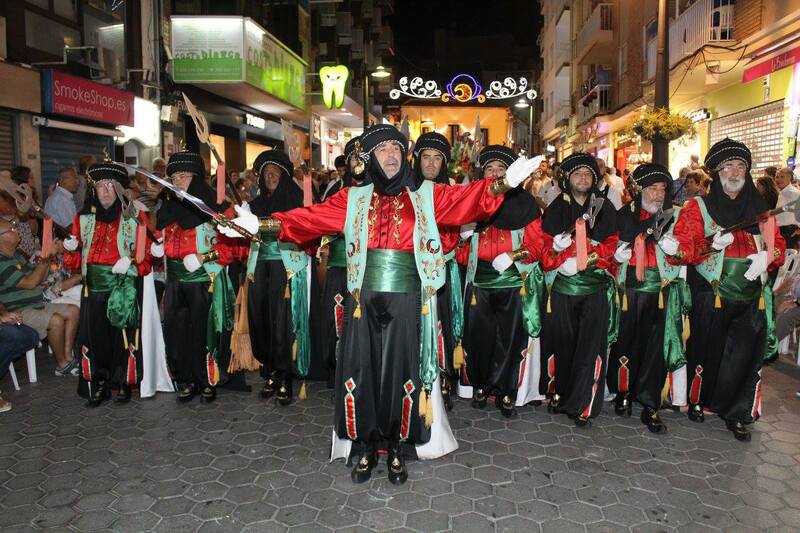 Below is the schedule for the most recent Moors & Cristians fiesta in Benidorm. 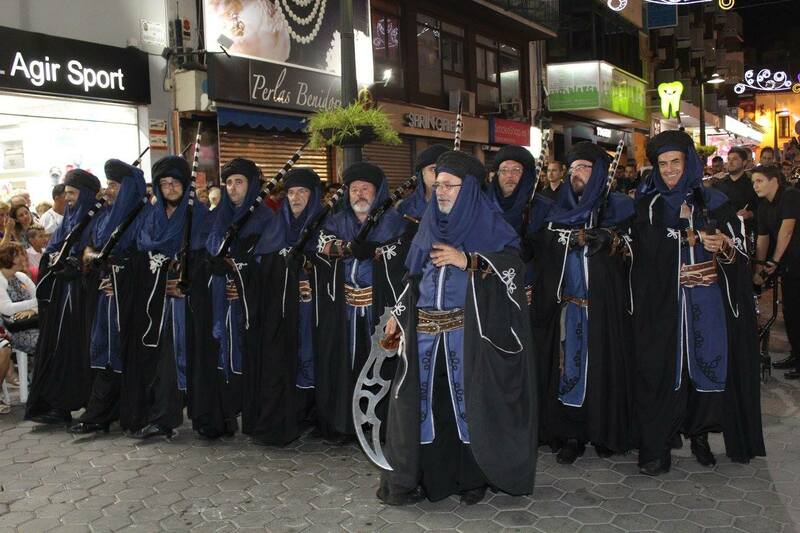 At 23:00 h. INFORMAL PARADE (“ENTRAETA DE FILAES”). Itinerary: Paseo Colón, Paseo de la Carretera, Martínez Alejos and Gambo street to finish at the Castle. 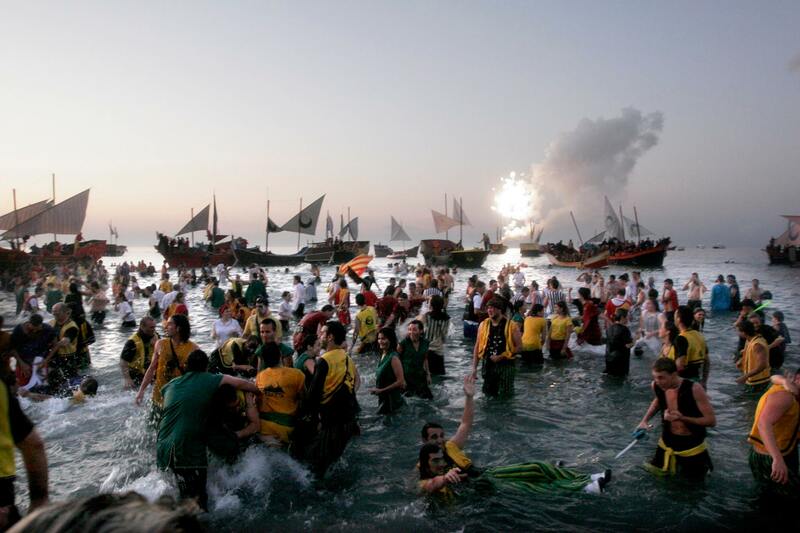 22:00 h. Gathering of the Christian troops at Playa de Levante, near Valencia street and of the Moor troops at Torrejó square, near the Tourist Office. 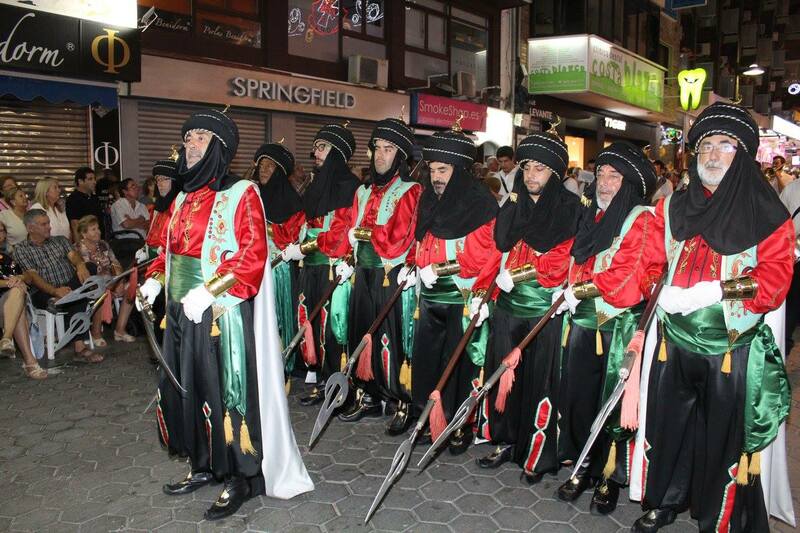 The Moors will go to the Christian camp and there will be a battle between the two parties. 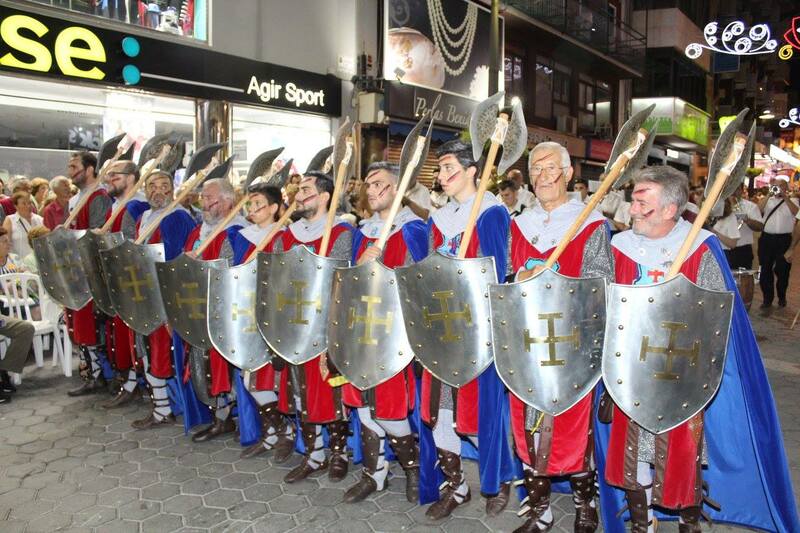 At 19:00h at the Castle (Gambo street). BATTLE AND CHRISTIAN EMBASSY. The Ambassador and the King of the Christians will urge the Moor Troops to leave the Castle, but the Moorish Queens will not accept, so the war will be declared, with the “ALARDO” (boasting with pop guns), that will take place in the surrounding streets, and will finish with the RECONQUEST of the Castle by the Christian troops. ITINERARY: Plaza Neptuno, Av. Almendros, Paseo de la Carretera, Martínez Alejos and Gambo street, to finish at the Castle. 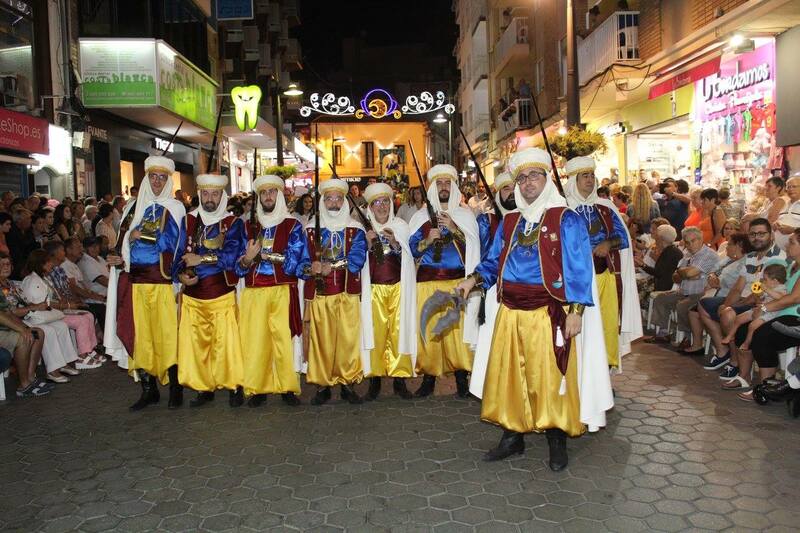 At 20:00 h. SPECTACULAR PARADE OF MOORS AND CHRISTIANS (ENTRADA), starting at Tomás Ortuño/ Ondulada street, around the main streets of our town. ITINERARY: Tomás Ortuño, Venus, Ruzafa, Martínez Alejos, Gambo and Hispanidad Square to finish at Av. Bilbao. At 12:00 h. THE PARLEY, at Gambo street, near the Castle, between the Prince of Kairuán and the Governor of the Castle so, once it is finished, the Tunisian Prince and his troops will leave. Around 12:30 h. GREAT FLOWER OFFERING TO SAINT JAMES, at San Jaime Church. ITINERARY: Gambo, Martínez Alejos, Paseo de la Carretera, Santa Faz, Mal Pas and Plaza de San Jaime. 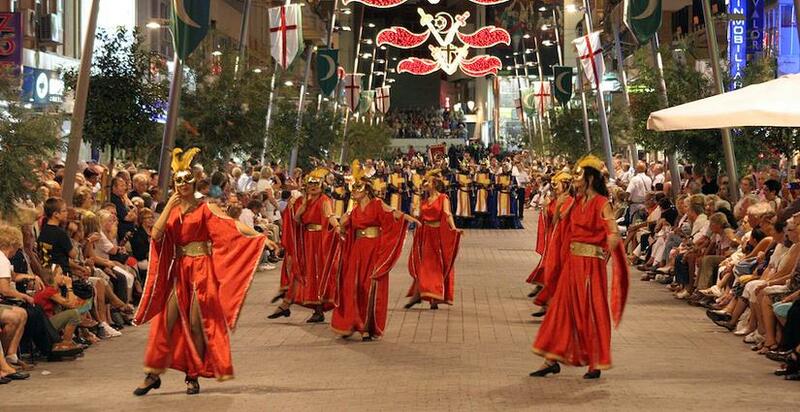 At 20:00 h. FLOATS PARADE (RETRETA FESTERA). ITINERARY: Tomás Ortuño, Venus, Ruzafa, Martínez Alejos,Gambo and Plaza de la Hispanidad. NOTE: The mentioned timetables are established as starting hours, and they could be changed by the Association, if it is necessary.